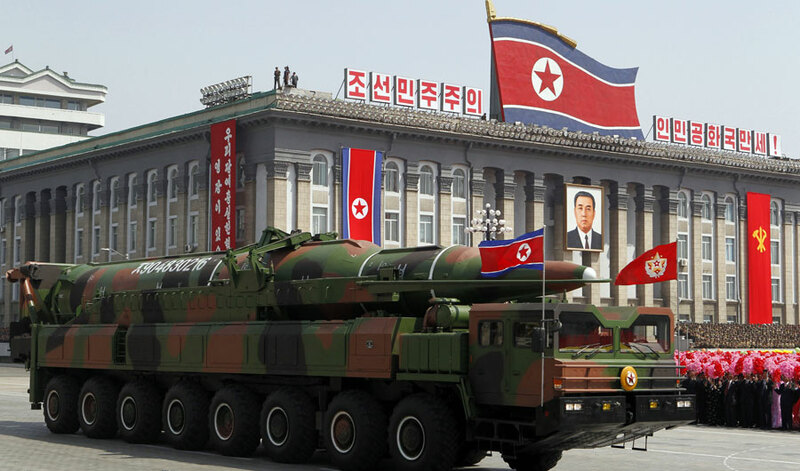 A KN-08 missile during a military parade in Pyongyang on April 15, 2012. The KN-08 is a road-mobile intercontinental ballistic missile believed to be under development by North Korea. (Inside Science) -- In 2006, North Korea conducted its first ever nuclear bomb test. Despite international condemnation, the nation proceeded to explode four more bombs in the following decade. A global effort to monitor radioactive particles, known as radionuclides, in the atmosphere is crucial to remotely identify such nuclear explosions, according to Jay Zucca, the principal deputy of the Global Security Directorate at Lawrence Livermore National Laboratory in California. Zucca presented an overview of nuclear explosion detection methods at a meeting of the American Physical Society, held in Washington, D.C. last week. While seismic sensors can detect the unique waves that man-made explosions send rippling through the Earth, radioactive evidence is ultimately needed to verify a seismic event as a nuclear explosion. 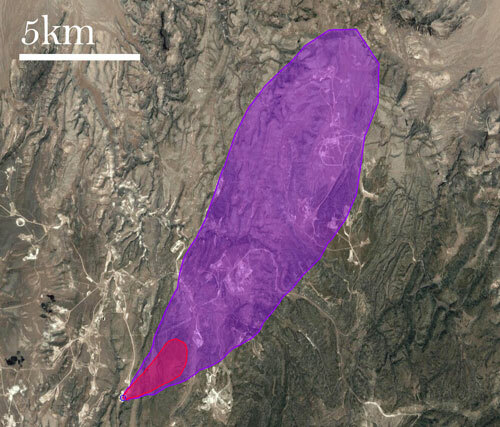 The calculated spread of radionuclide Xe-133 from an underground nuclear explosion. "Even for successful containment of underground tests, it is expected that there'll be small releases of radioactivity, primarily noble gases," said Zucca. In 2009 North Korea claimed to have detonated its second nuclear weapon, but the sensors at the time registered no spike in the telltale radioactive gases. This led to several different theories, including the possibility that the explosion was non-nuclear, but was designed to simulate a nuclear test. In addition to monitoring nations like North Korea, a worldwide network of sensors helps the global community enforce agreements against the use of nuclear weapons, like the Non-Proliferation Treaty and the Comprehensive Nuclear-Test-Ban Treaty. Since the end of 2009, the International Monitoring System operated by the Comprehensive Nuclear-Test-Ban Treaty Organization has increased the number of certified radionuclide monitoring stations from 59 to 64, with plans for a total of 80 in the near future. These detectors also monitor the typical background amount of radionuclides released into the atmosphere by isotope production facilities such as nuclear reactors, which is crucial for discerning anomalous peaks caused by nuclear tests. Most recently, atmospheric monitoring confirmed North Korea's latest nuclear explosion on Sept. 9, 2016.